Check out the Musician's Show this Wednesday to listen to a program selected by drummer Dan Weiss. 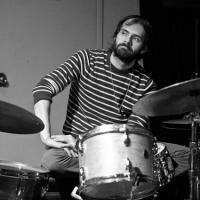 He began playing drums at age 6, and went on to train at the Manhattan School of Music. He has toured around the world with Lee Konnitz, Kenny Werner, Rudresh Mahanthapa, David Binney, among many others. Dan has been influenced greatly in his jazz drum technique from years of tabla study with Pandit Samir Chatterjee. He has been named 'The Top Up and Comming Percussionist' twice by Downbeat and has been referred to as "One of the 5 Most Promising Drummers of the New Generation" by the New York Times. His most recent release is the album Fourteen, which he worked on as bandleader and composer with a 14-piece ensemble.